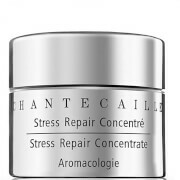 Experience the anti-ageing benefits of Chantecaille's Nano Gold Energising Eye Cream, a nourishing eye cream infused with antioxidant-rich 24 Karat Gold and Silk to help reduce multiple signs of ageing around the delicate eye area. Formulated on a base of pure Rosewater, the unique cream utilises powerful Antioxidants, potent Botanicals and Tensing Agents to promote smoother, firmer-looking skin around the eyes; it targets fine lines, dark circles and puffiness whilst soothing and moisturising. A blend of Peptides and Plant Stem Cells help reduce the appearance of fine lines, wrinkles and dark circles, and its Anti-Puffiness Complex helps to ease the look of puffiness whilst promoting firmer-looking skin*. New Swiss Plant stem cell technology from a rare species of apple also penetrates the skin to activate the cell renewal process. Active peptides and Chinese Ginseng increase cell respiration and blood circulation to reduce dark circles and puffiness, while a suite of natural botanicals including organic shea butter, jasmine, mimosa, and narcissus flower waxes hydrate the skin to contribute to the anti-aging process. 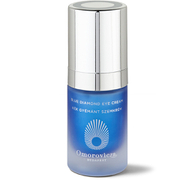 Contains anti-inflammatory, anti-bacterial and anti-aging properties; Paraben-free and Vegan-friendly.